The American Advertising Federation, or AdFed, is the oldest advertising trade organization in the United States. 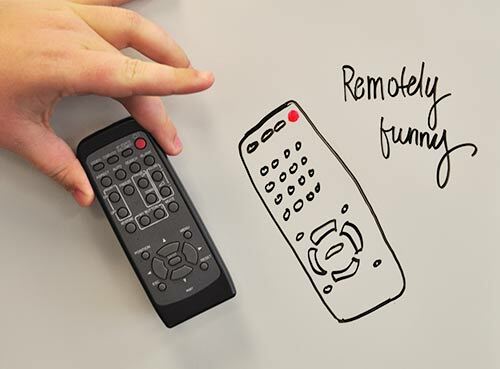 It has 15 districts and is a unified voice for the advertising agency. 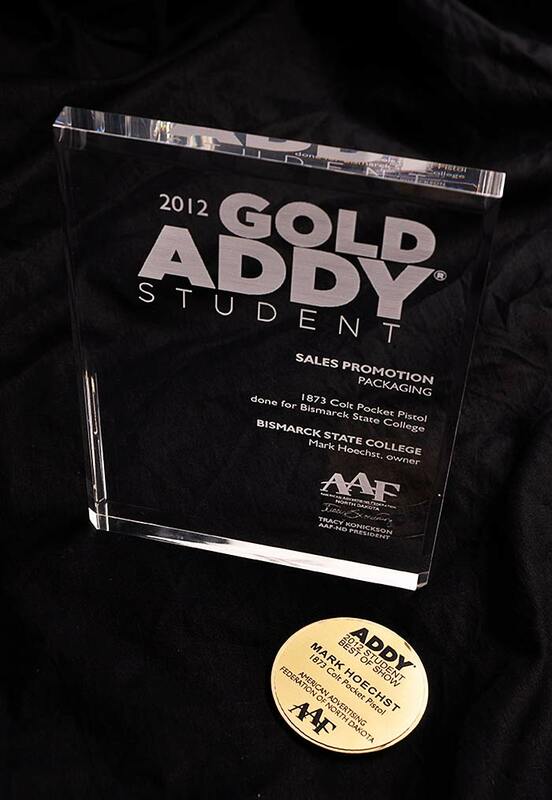 This year, four BSC students competed in the AdFed competition held in Fargo by the AAF-ND chapter which covers all of N.D. and western Minn. A group entry was also submitted for the 2012 graduating class. 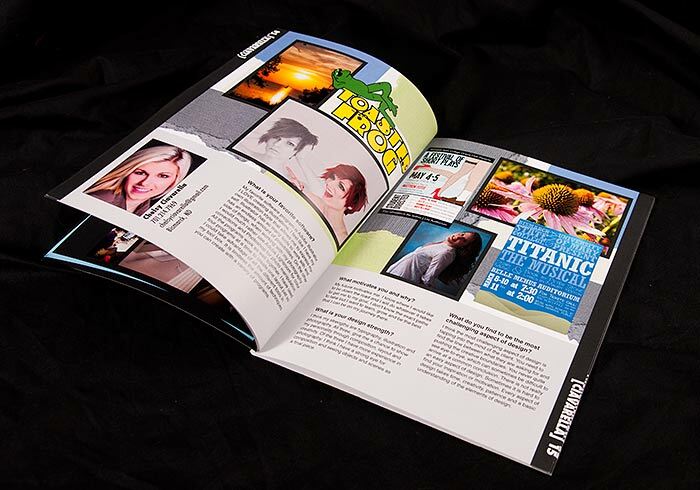 Two BSC students won awards in the student competition – Mark Hoechst won a gold award and Student Best of Show for a magazine cover he designed. 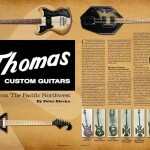 The unique part of Hoechst’s entry is that he shot and edited the photo, created the background and did the layout for the magazine. 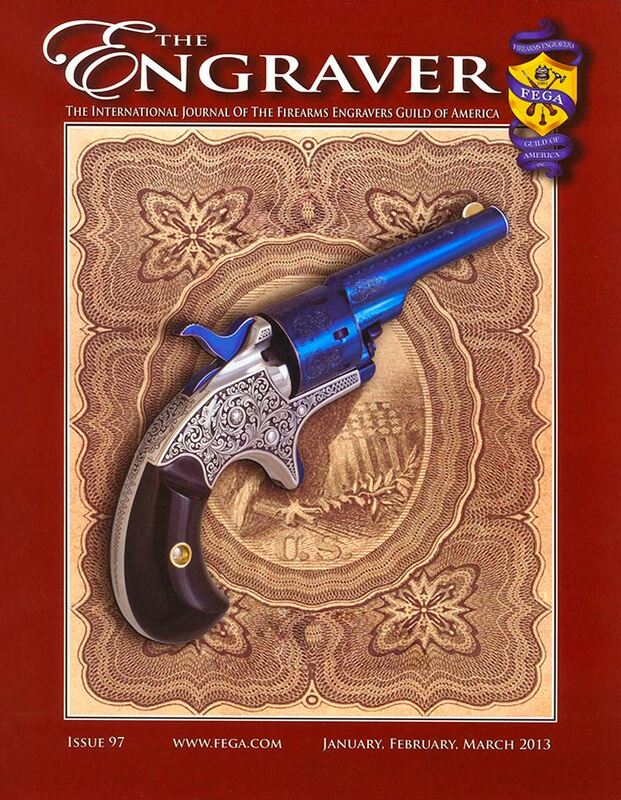 On top of that, Hoechst, a nationally-known firearms engraver, also engraved the pistol featured on the cover. 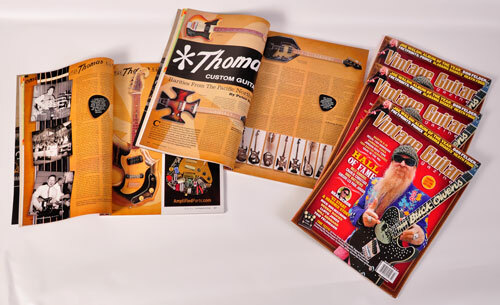 Michelle Flesness took two Gold Awards for her Vintage Guitar magazine spread and for her Love Brew logo. 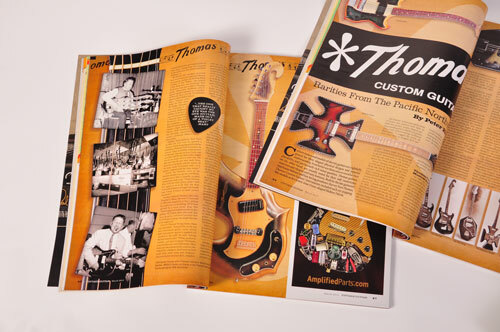 The Vintage Guitar spread was created as a class assignment and was published in the March 2013 issue of Vintage Guitar magazine. 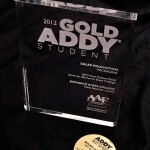 All gold award winners automatically move on to the district competition. Both students are sophomores and will be graduating in May. 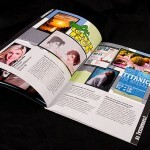 The graduating class of 2012 won a silver award for their Proof Magazine. 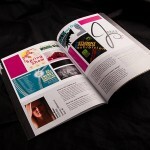 A publication completely designed and created as a group effort. 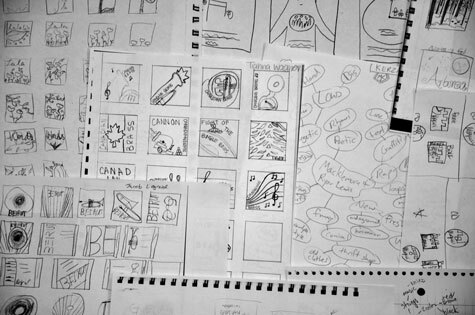 2012 was the first year of Proof Magazine, but the 2013 issue is currently under construction. 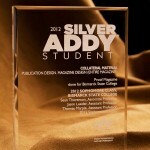 Graphic Design and Communications graduates were also part of award winning projects at the Fargo Addys. Rob Burke, Matt Frank and Jamie Vetter were honored at the banquet as well. Congratulations to the award winners and all of the students that entered. 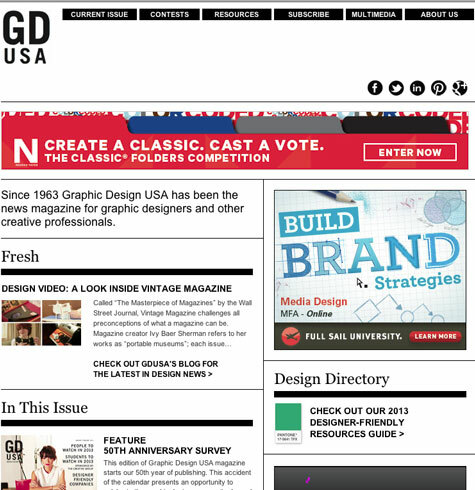 The contest reinforced that the GDC students are working hard and producing amazing work. 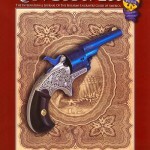 Engraved pistol and magazine layout by Mark Hoechst. Love Brew Coffee logo designed by Michelle Flesness. 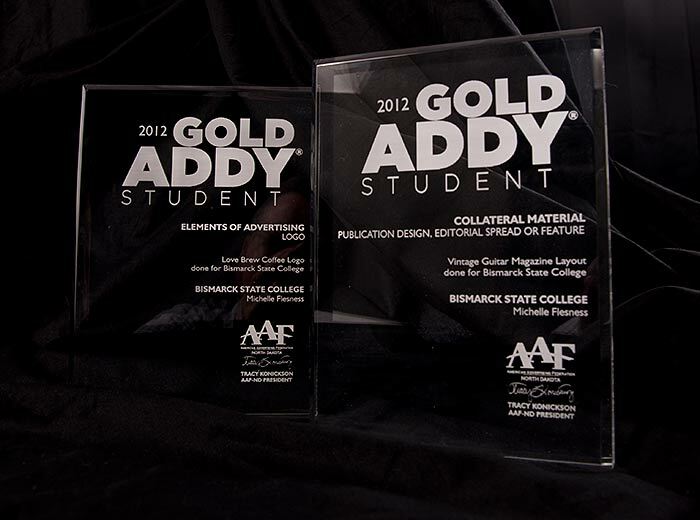 Mark Hoechst’s Addy Gold Award and Student Best of Show Award. 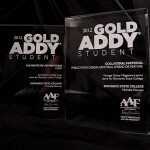 Two Student Golds won by Michelle Flesness. 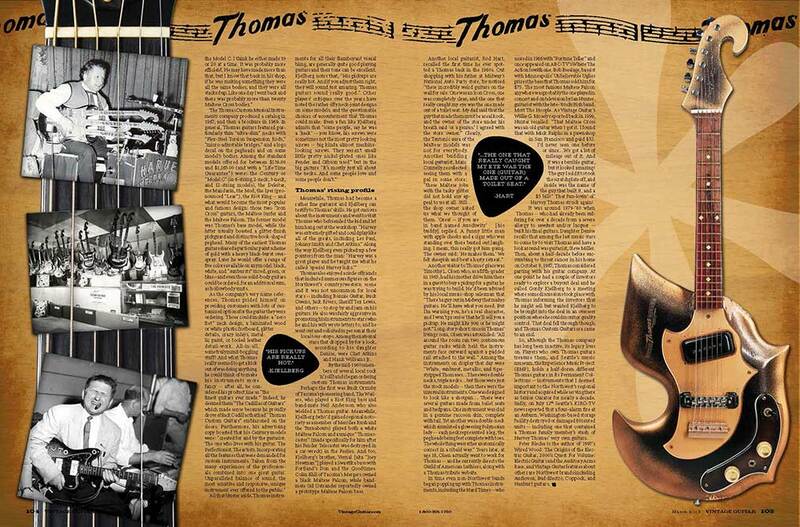 The first two pages of the Vintage Guitar spread by Michelle Flesness. 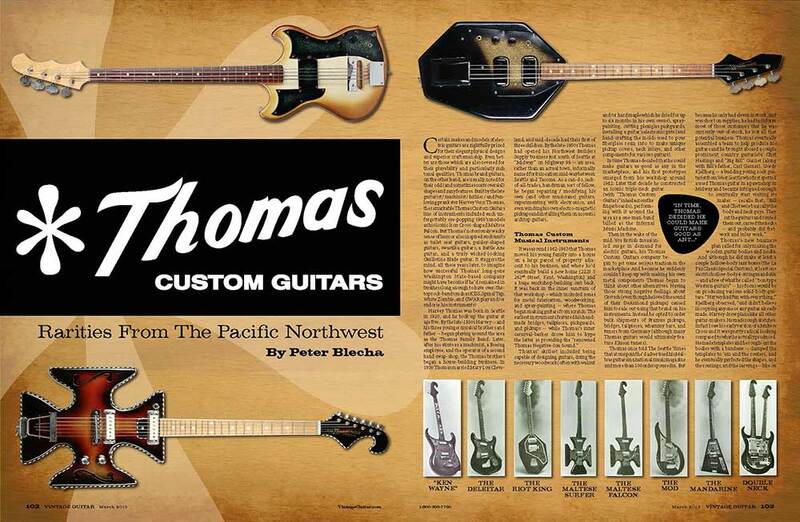 The last two pages of the Vintage Guitar spread by Michelle Flesness. 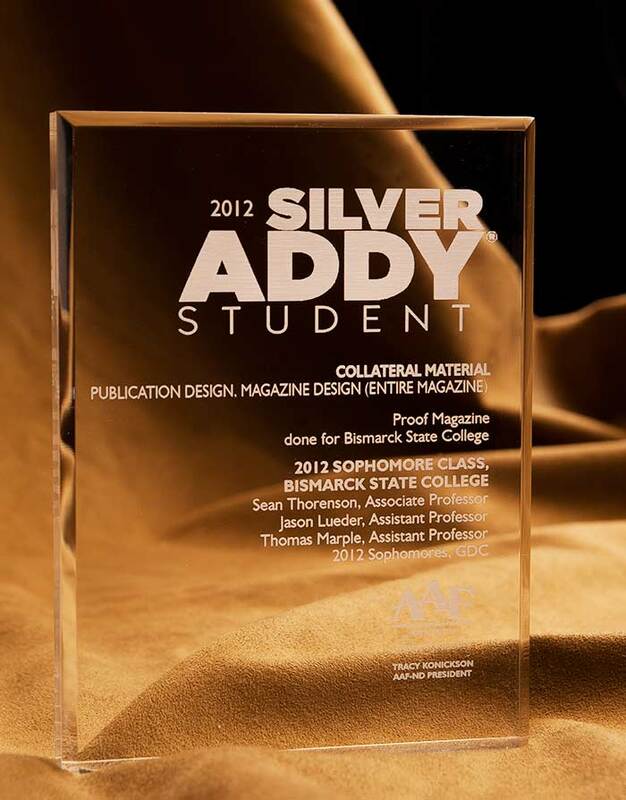 Silver Addy won by the BSC GDC class of 2012 for their Proof Magazine. 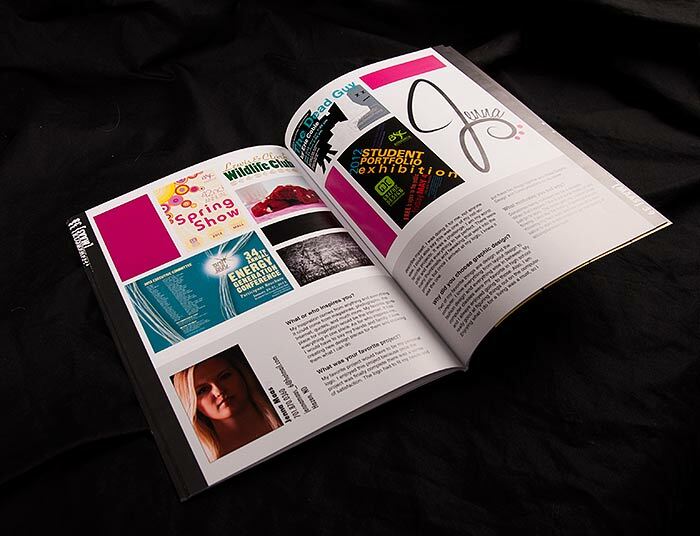 Student layout pages from 2012 Proof Magazine. 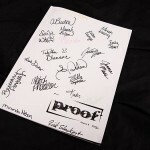 Autographed cover of Proof Magazine produced in 2012. Here is a sample of what the Freshman have been doing for me in the last couple of weeks as seen through their Mindmaps and Thumbnails. I’ll try to keep you posted throughout the semester with this segment I’ll call Screenshots. BSC Graphic Design and Communications graduate Rob Burke took time out of his Saturday morning to give a tour of where he works – Sundog Marketing and Technology in Fargo. 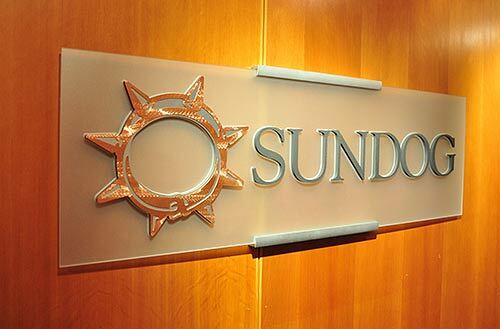 Burke works primarily with video and motion graphics for Sundog. It was a great tour and an amazingly creative space. Covering multiple floors and disciplines, it included several spaces to encourage collaboration and creativity. The space was certainly as interesting as those of any agency in any city. Burke talked about some of the work he’s done while at Sundog including shooting video in multiple states and working with some of the newest equipment. 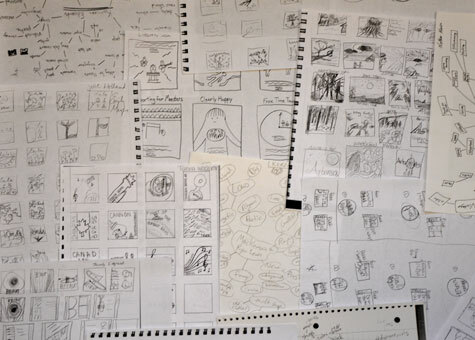 He said that the job is challenging and creative – in short, he sounds like he loves it. Thanks for the tour Rob. As soon as you step off the elevator you know where you are. 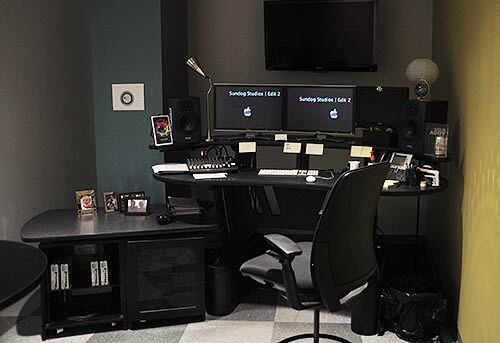 An editing booth at Sundog in Fargo, N.D.
Valley City has a strong tie to the Bismarck State College Graphic Design and Communications Department. The program has had several outstanding students from Valley City and the surrounding communities in the past few years. 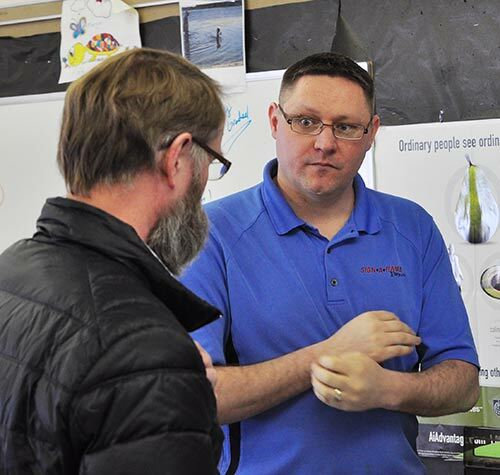 Last Friday Sean Thorenson, Thomas Marple and Jason Lueder visited instructor Eric Holland in his classroom in the Sheyenne Valley Career and Technology Center. He is doing a great job preparing students for a wide variety of opportunities. 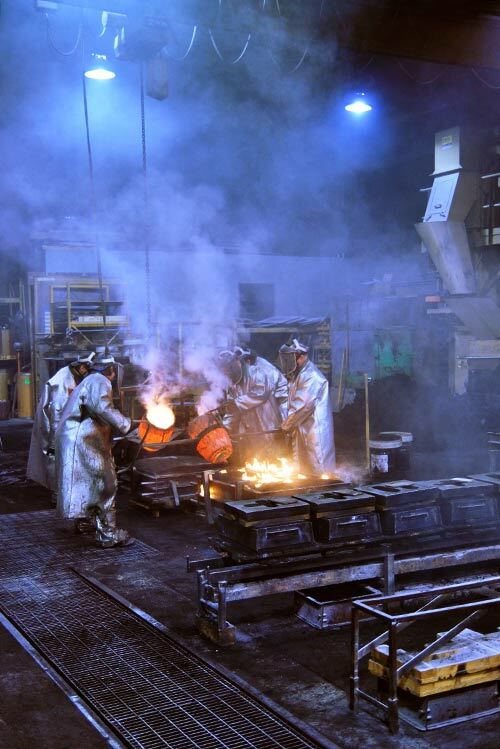 Preliminary discussions have started that could benefit top-notch Valley City students entering the GDC program in the future. Keep up the good work Eric, and keep sending us great students. Tom Marple of BSC talks to Eric Holland from the Sheyenne Valley Career and Technology Center about graphic design education. 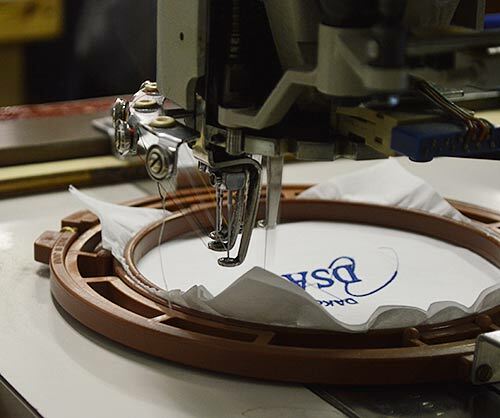 Tuesday afternoon the folks at Dakota Screen Arts took a couple hours out of their day to show freshmen Graphic Design and Communications students how screen printing and embroidery works. The staff at DSA did a great job explaining the process and answering questions. The staff stayed late and put some of their normal duties on hold to help us out. Thanks DSA. Photos were shot by freshman Matt Kerzman. Terry Lantz and Denny Cox did a great job showing the sophomore GDC class around L&H Manufacturing and Metal Arts this morning. 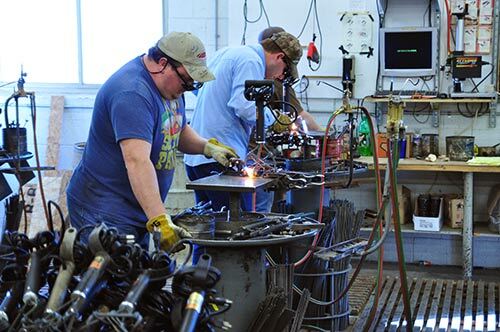 The two businesses produce plaques and metal lettering for a huge variety of customers along with branding irons. 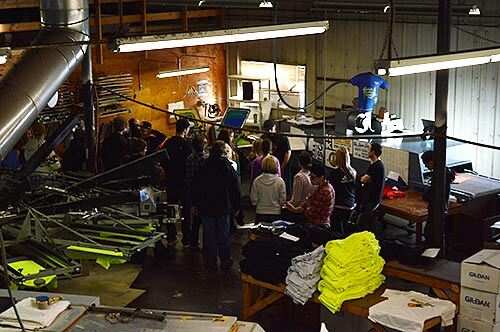 The students got to see where graphic design meets metal. Photos were shot by sophomore Ben Jyring. 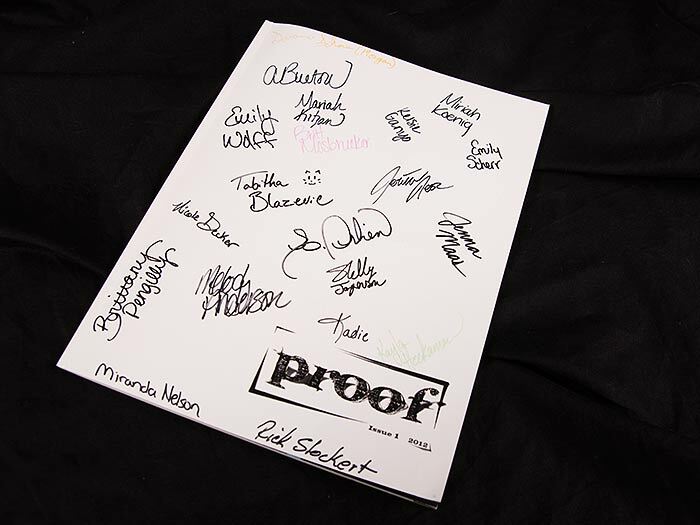 Spotted during production of Proof Magazine. Sophomore student Ellie Schmit is the comedian/artist.